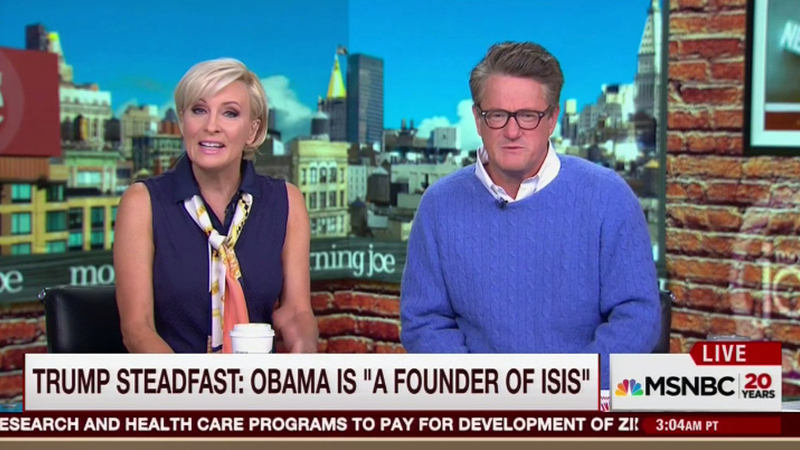 MSNBC’s “Morning Joe” updated its studio graphics last week, making use of the spaces newly added LED walls, only to quickly remove it today. “It took a lot of sorta sweat, and we worried about it a long time, but we got a new set here. 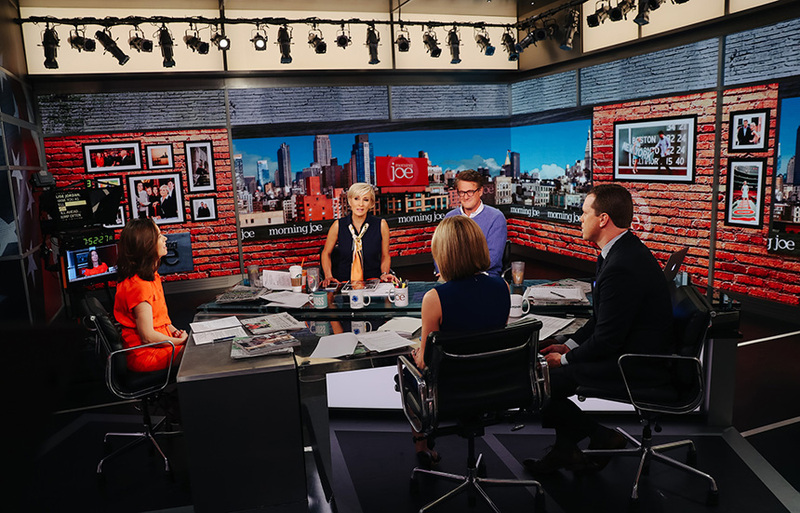 We had another new set on Friday, but this is another new set today,” joked Joe Scarborough today about all the changes, with regular contributor Mark Halperin chiming in “3.0” about the look. Broadcasting from Studio 3A, the show had used the rear projection screen as its main background, utilizing a split graphic that had a faux view of Rockefeller Plaza with plenty of American flags waving. 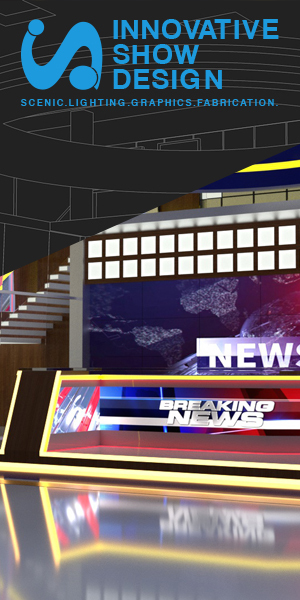 On Friday, the show debuted a change that reoriented the desk, putting Scarborough and Mika Brzezinski to the right of the former home, using the corner of the LED wall with a new collage background of New York City that combines multiple iconic buildings and places. 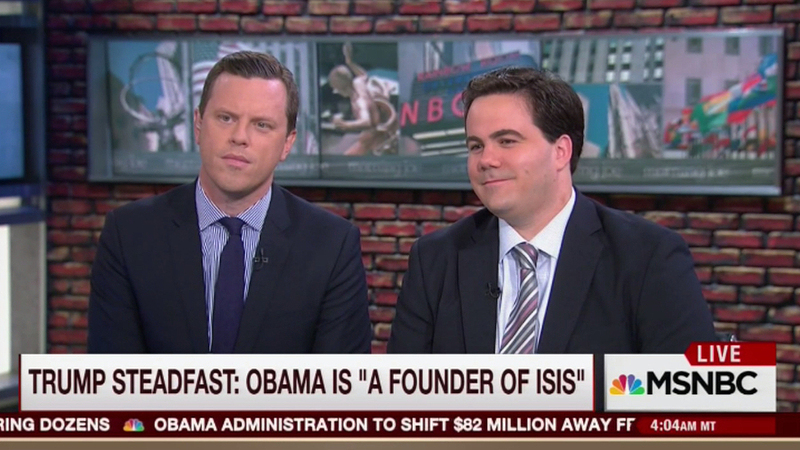 The background includes “Morning Joe” branding, even a small billboard in the city, along with photos of the hosting-duo from the past years in virtual frames. This use of photos follows the shows graphics package, which also heavily draws from photos for the open and teases. The most noticeable change was the addition of faux brick, which is part of the digital backgrounds in two tones. A piece of faux brick scenery has also been added to the three monitors on plexiglass holders that extend into the studio, separating the studio from the work area. During Friday’s broadcast, the panel joked that the studio now looked like a coffee shop matching the shows name. The addition of brick is interesting, given it follows MSNBC’s recent fourth floor studio debut, which uses brick and industrial elements combined with the modern look of the network. As of Monday morning, the brick look has disappeared.